A man who drank up to six litres of fizzy drinks a day had to have 27 of his decayed teeth replaced. Michael Sheridan (32), from Ashbourne, Co Meath, has been in constant pain for much of the last decade and lived on a diet of yoghurt, Weetabix and soup - as even biting into a sandwich left him in excruciating pain. He attributes his rotten teeth to his addiction to fizzy drinks. 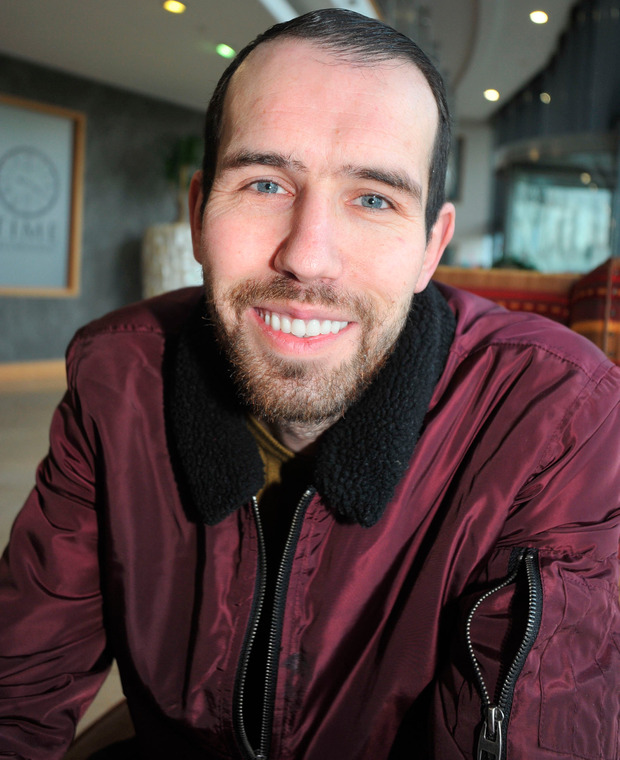 Navan dentist Dr David Murnaghan, who met Michael through a shared interest in water polo, was so concerned about Michael's oral health that he offered to take on the mammoth task and waive the normal costs of implant treatment. Dr Murnaghan, of Boyne Dental and Implant Clinic, said: "I knew Michael through water polo and told him to come and see me for a consultation. "I knew his teeth meant a serious threat to his health. He couldn't chew his food properly, he couldn't bite into a sandwich and he was in pain every day. "The Government is not pushing that side of health education currently, it's more about alcohol and smoking, but oral health is very, very important and many Irish people don't go to the dentist enough for regular checks." However, it took almost a year for Michael to pluck up the courage to arrange the appointment, which finally took place last November. "I used to keep my teeth hidden and talk as little as possible," he said. "If I was out with friends, I'd sit further back when talking because I was conscious of my bad breath. "I would eat soup, yoghurt and Weetabix every week. Sometimes I wouldn't sleep because of the pain and if I went out for a meal with my partner, Linda, I'd have pain straight away," he added. Michael was able to survive on just one meal a day because his appetite was suppressed by the copious amounts of fizzy drinks that he was consuming. "I was addicted to them. I'd drink six litres or more a day - whatever I could get my hands on. I always had a bottle in my hand," he said. Although he taught himself to talk and smile without showing his teeth, Michael's self-confidence took such a knock that he wouldn't even apply for promotion at the Aviva Stadium, where he works as a kitchen porter. Michael, who has three children, finally took the steps to see a dentist as he is due to get married next New Year's Eve and wanted to be able to smile confidently in the photographs. "I knew if I went to a dentist that I'd have to stop drinking fizzy drinks and I didn't want to do that before," he said. "I also knew that all my teeth would have to come out and I couldn't afford that." However, with the help of Dr Murnaghan and his colleagues, Michael didn't have to worry about the cost and had all 27 teeth surgically removed in one sitting last week. After the procedure, Dr Murnaghan inserted dentures to give Michael's gums time to heal and in April, he will return to get 12 implants inserted into his jawbone. Bridges will also be attached to these to give Michael his new, permanent smile. "I keep looking at myself in the mirror and can't believe it's me," said Michael, who hasn't had a fizzy drink since the surgery.